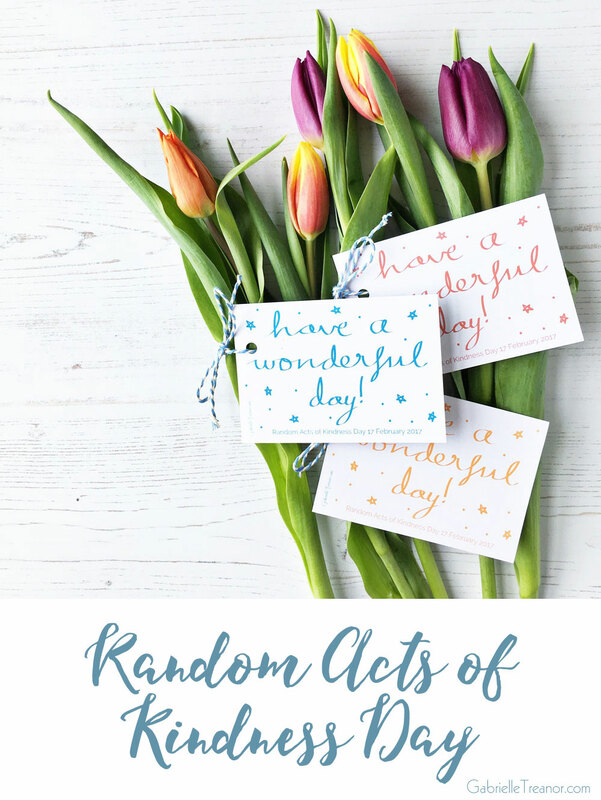 Today is the official Random Acts of Kindness Day. While it’s a great idea to carry out acts of kindness every day of the year I also think it’s good to have a specific day, 17 February, ever year to highlight the practice. 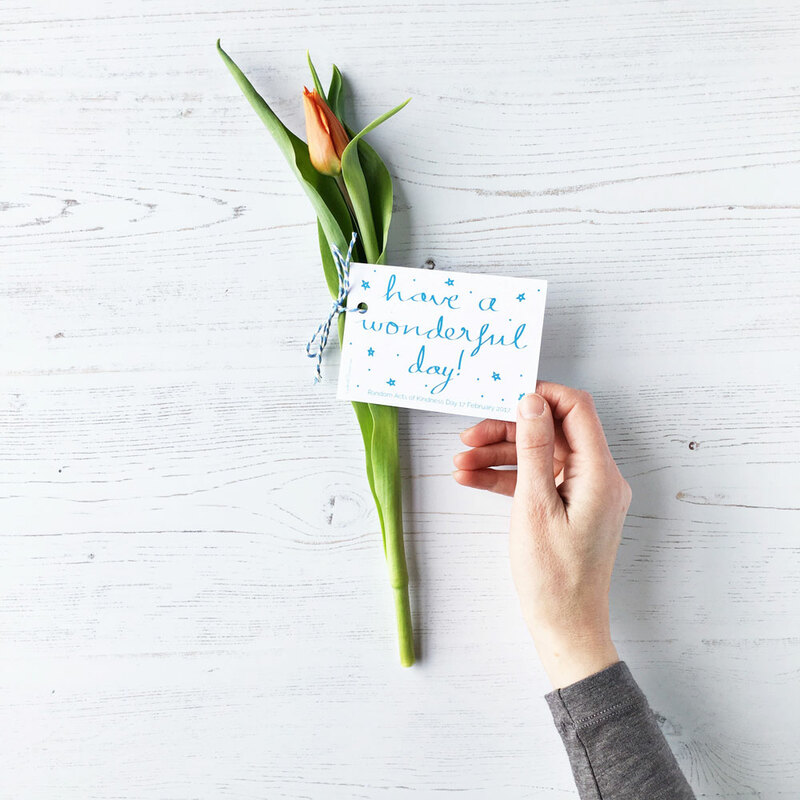 Research shows that doing something for another person with no expectation of reward, an act of kindness, not only makes the recipient feel good but you, the person doing the deed, also benefits. There are lots of different things you can do, let your imagination run with it! Because I’m so smitten by Spring flowers right now I’ve decided to include them in my acts of kindness today. 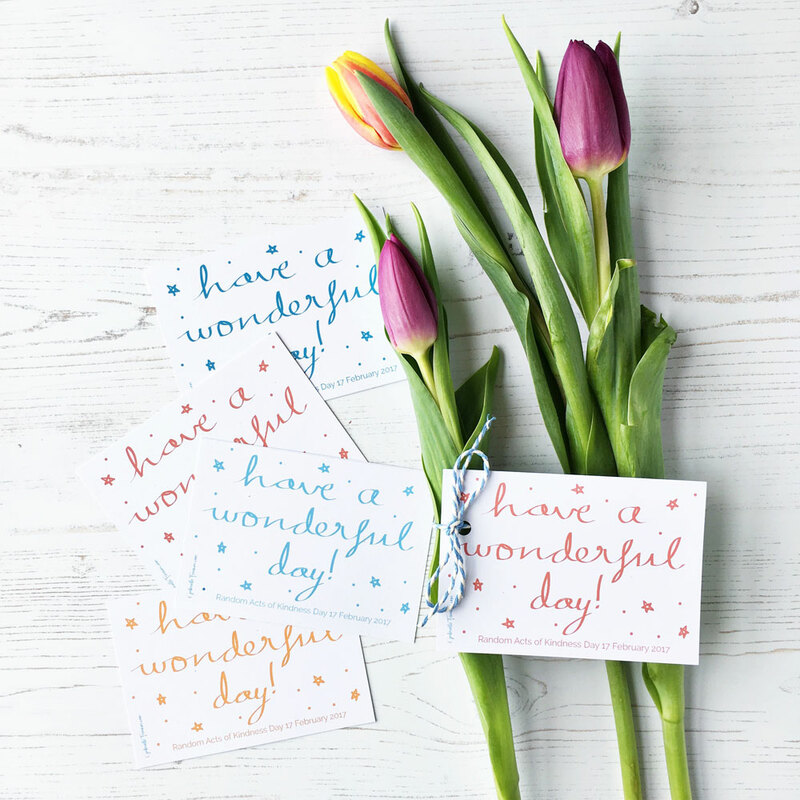 I’ve designed mini cards that I’ve printed out and tied onto single tulip stems. Then I’m going to tuck the flowers under the wiper blades of cars all over my local town. These mini cards are available for you to download and print out yourself, just click on the link below. There’s also a version without the RAOK date so you can use them whenever you like. Research also shows that witnessing, or even just hearing about, an act of kindness in action inspires others to perform their own acts. This is why I’m telling you what my plan today is, not to brag or get approval, but to inspire. 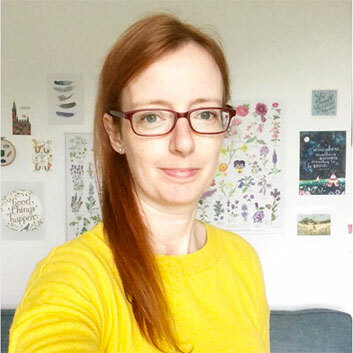 I’d love to hear what you get up to today, or any acts of kindness you perform in everyday life, so do share them in the comments below or on social media, I’m @gabrielletreanor on Instagram and this is my Facebook page. But is it really ‘random’ when it is planned to the nth degree? Along with downloadable printables? Doesn’t that take away from the whole random part? Nice gesture either way of course I’m sure you’ll make somebody smile but I think people have lost sight of what RAOK really means.